Bunnan was born in Shanghai in 1903. 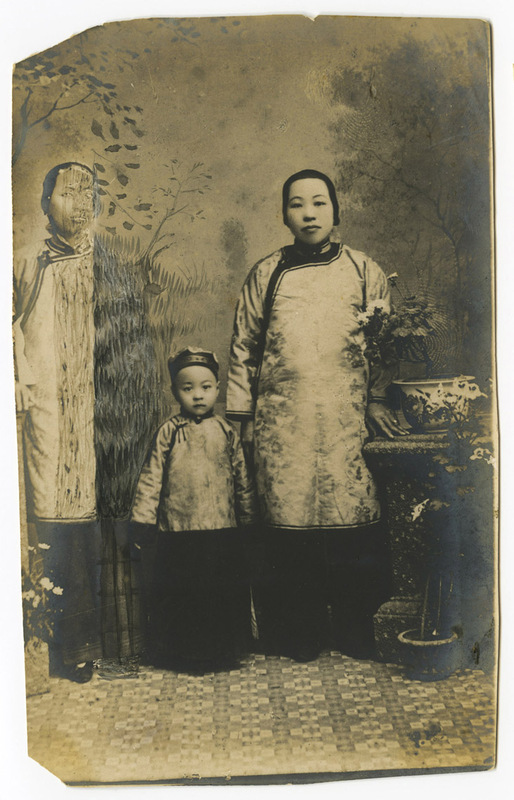 His family were economic migrants, originally from a village called Tangjaiwan (Tong's Bay) in Guangdong. His grandfather set up opium pipes for paying customers in an opium den, he died at the age of 27.His father worked as a deckhand and was often away for months at a time. His mother was a strict woman and clearly did not like the other woman in the photo whom she scratched out.